So, Joe hasn’t been in any of the Star Wars films, but that definitely wasn’t going to stop him faking his own poster to try and get a few free lunches. Once we had confirmed with Joe that we were going to work with him on a Star Wars themed image we began our research and concepting process. After a bit of discussion he made it fairly clear he didn’t want to dress up in a Princess Leia bikini…so we came up with something else. After a spot of photography and a crap load of Photoshopping what you see above is the final product. 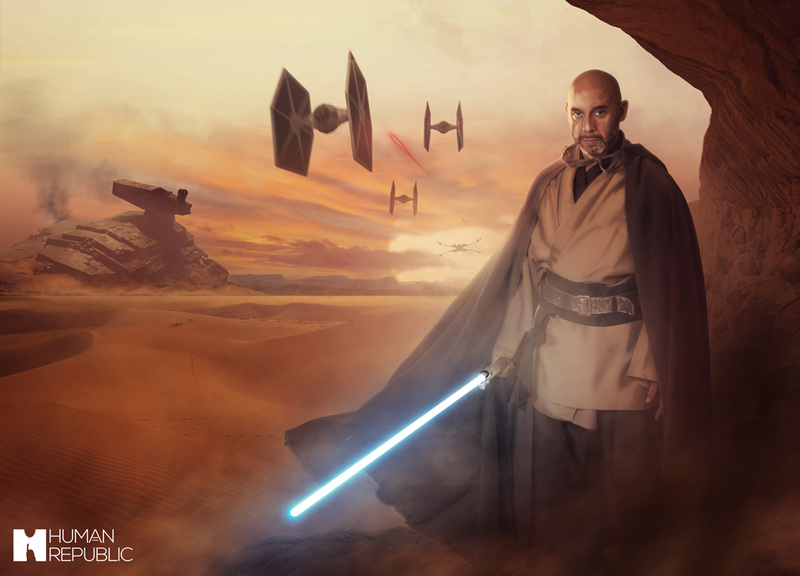 It’s strange that now we’ve seen Joe as a full blown Jedi he looks odd wearing regular clothes.